Hi all! Just a quick update! School’s back in session, and I’m gearing up for a craft show on October 1st- needless to say, I’ve been working hard the last few weeks! 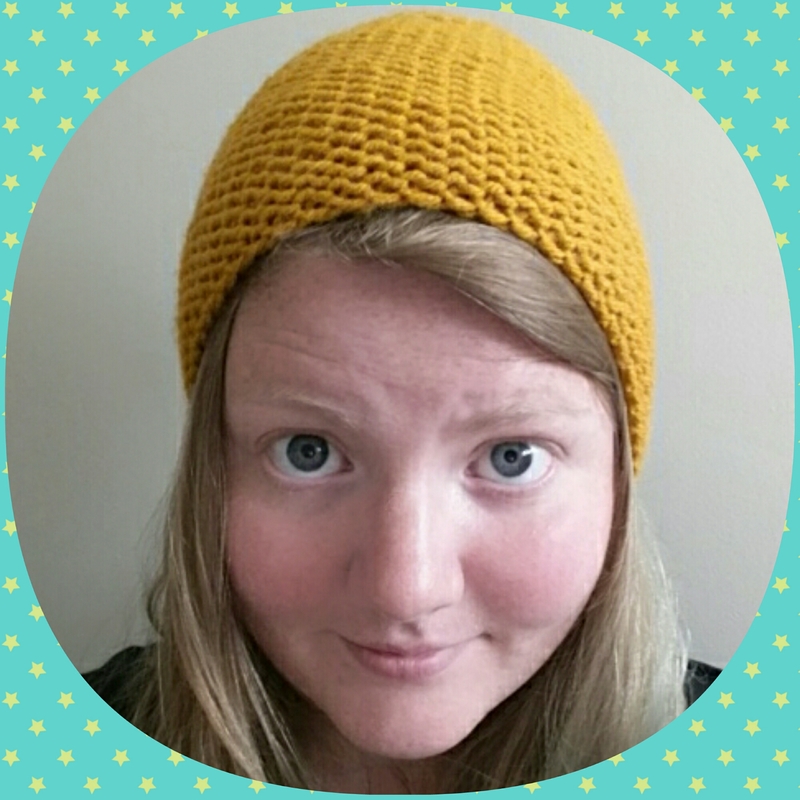 I wanted to give my poor circular needles a break, and explore the wonders of straight needle knitting again like I did so long ago before I discovered circular knitting.I’ve knitted a straight needle hat before, but never one of my own design. 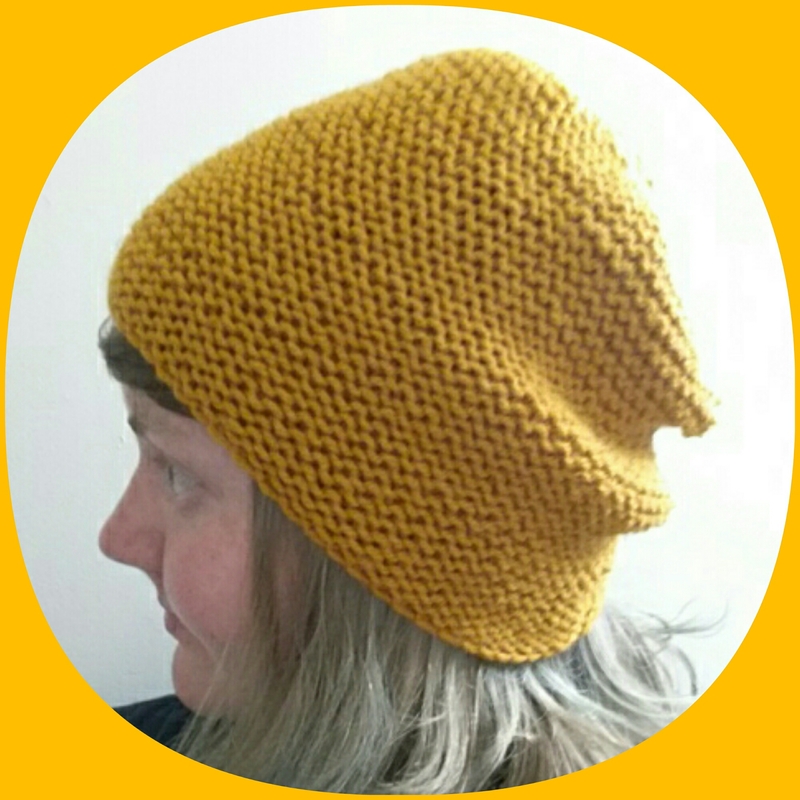 I wanted to include the texture of garter stitch in the hat… Plus not purl any. So this is what I came up with! It still needs to be blocked. I usually just mist my knits with water from a tiny spray bottle I picked up at the dollar store and stretch them around a plate, so the brim stays relatively unstretched and the middle and top flatten out beret-style. Then, bind off, and leave a long tail (about 16 inches) and whip stitch the sides together. Flip the hat inside out, and done! I found as I was decreasing some weirdness started to happen at the end of the decrease row- like a few stitches would be left over after I decreased, but not enough to do a full cycle again. I just left it alone and kept working, and it worked out in the end! OK, that’s all for now! Happy crafting friends!